finds defects in the mesh region mreg. finds only the specified type of defects def1, …. formats the results according to format specification. 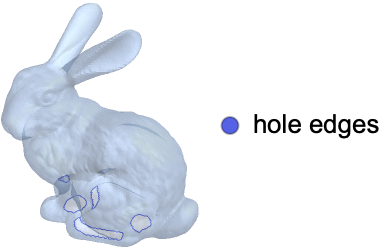 By default, FindMeshDefects gives a mesh region with defects highlighted. FindMeshDefects takes a PlotLegends option as well the options of MeshRegion. With the setting PlotLegendsAutomatic, a legend is produced for each type of defect.